Institutes for daughters of the nobility (інститути благородних дівиць; instytuty blahorodnykh divyts). Boarding schools for noble girls between the ages of 12 and 17 in Russia prior to the Revolution of 1917. They were loosely patterned on the Smolnyi Institute in Saint Petersburg (est 1764), the first school of this type in Russia. Such schools were introduced in Russian-ruled Ukraine, partly as an alternative to Roman Catholic convent schools, which were Polish in spirit. 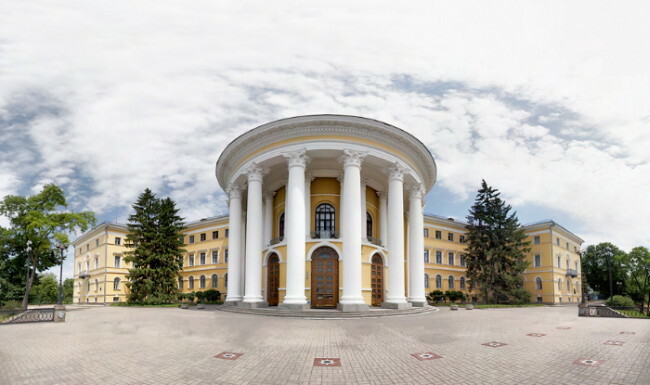 The first institute for noble family girls in Ukraine was established in Kharkiv in 1812. It was followed by similar ones in Poltava (1817), Odesa (1828), Kerch (1835), and Kyiv (1838). Their purpose was moral, rather than academic, education: to prepare young women for their role as wives and mothers. Emphasis was placed on the social graces, French language, music, drawing, dancing, and handicrafts. Some instruction in literature, history, and religion was also included. An optional one-year course in pedagogy was sometimes offered. The girls were supervised and watched closely under an oppressive regime. Ukrainian teachers, who were usually men, sometimes managed to introduce local Ukrainian flavor into the curriculum. By the end of the 19th century the program of the institutes was updated to reflect the standards of secondary education.